Bringing ministry and a positive message to inmates is a challenge. Clearvision ministry focuses on a peaceful approach, and this is illustrated in the image of the opening flower as part of their logo design. 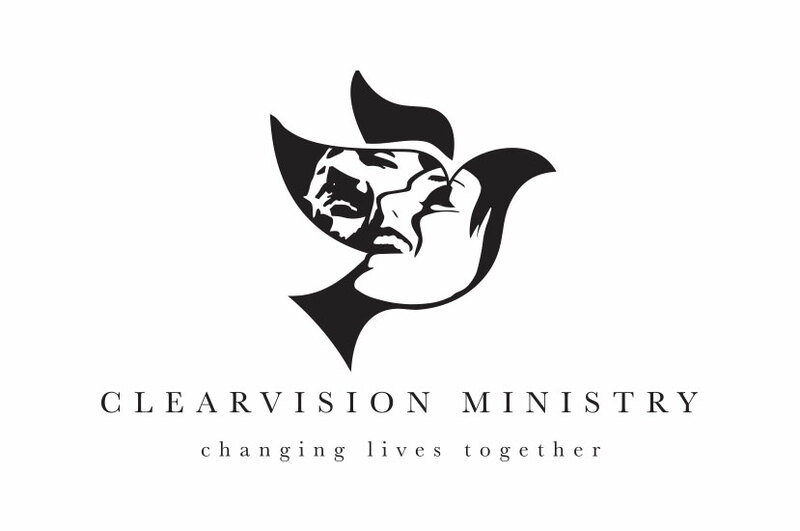 The Clearvision Ministry logo is reflective of the peace and community that can be found there. This logo is made more dynamic by incorporating the Adobe Photoshop and Illustrator rendered images of people singing or worshipping inside the wings of the dove. This feature makes the logo symbolic and beautiful. The onochrome color palette gives the logo a very airy, simplistic feeling.